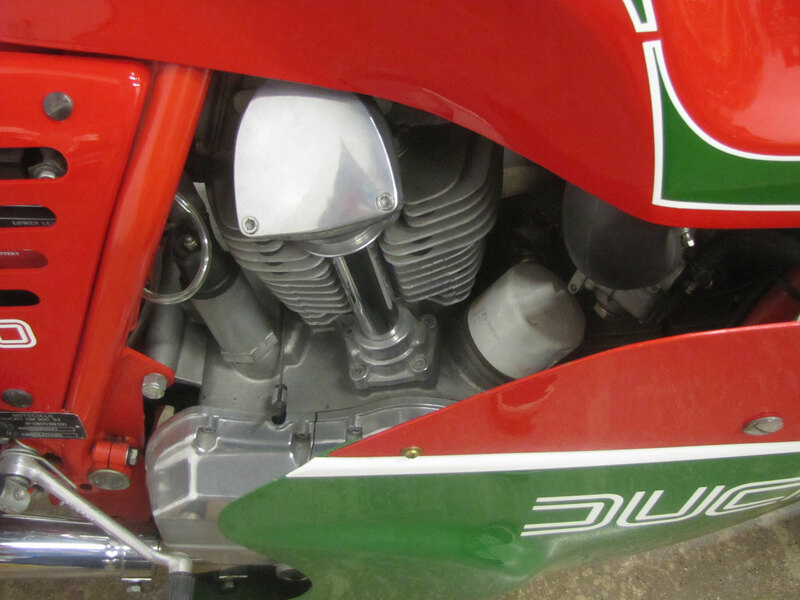 By 1978 the Japanese manufacturers were turning out new and sophisticated designs, some DOHC four cylinders. 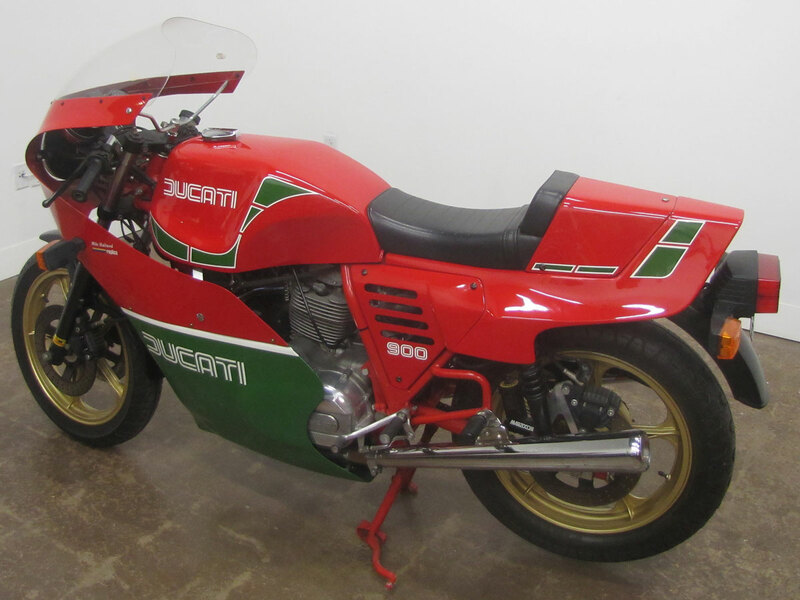 So it’s amazing that the good but somewhat dated Ducati chassis and engine beat the big money, more modern efforts, and Hailwood was up in years for this work as well. 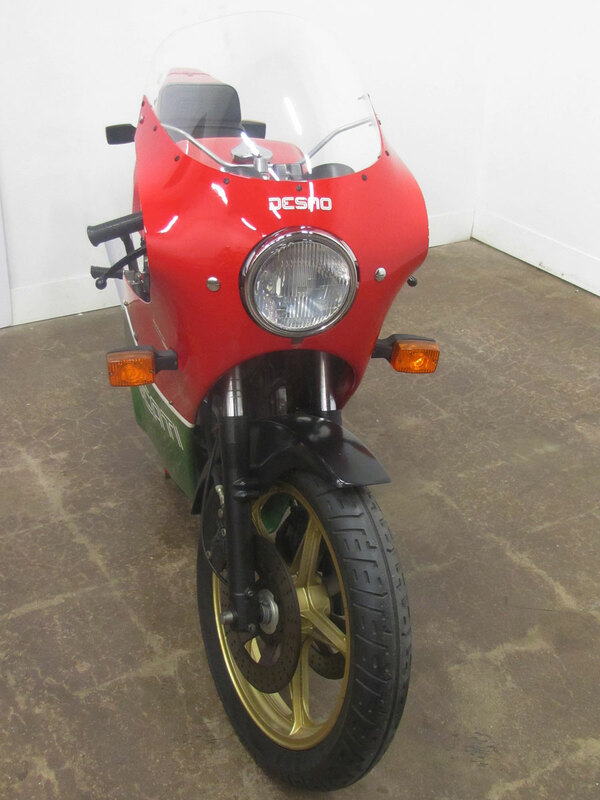 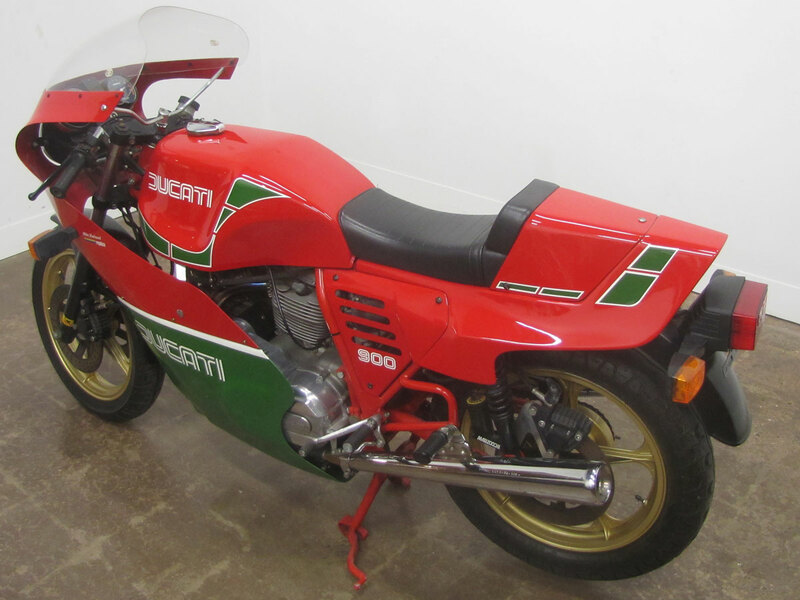 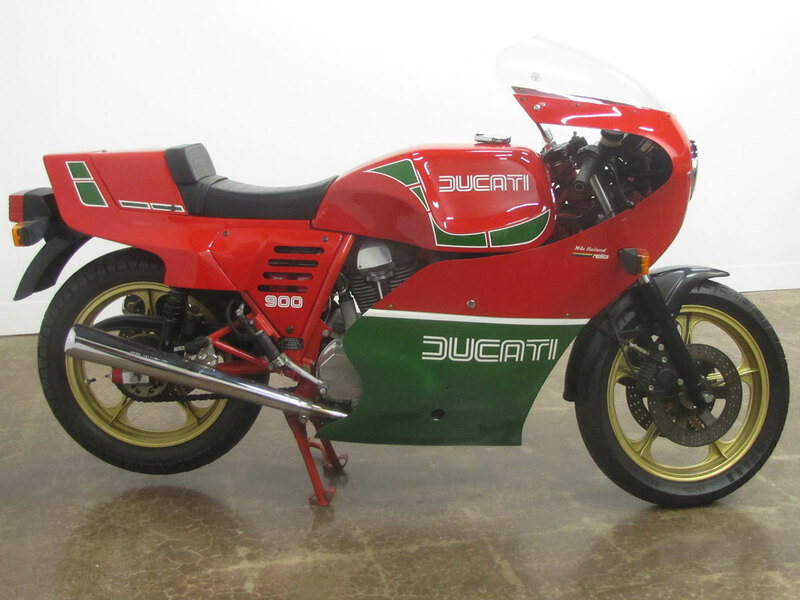 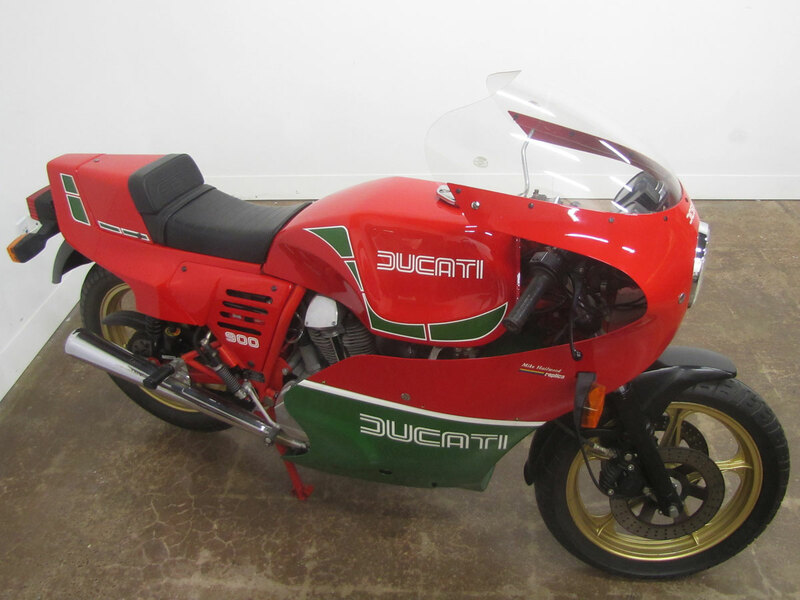 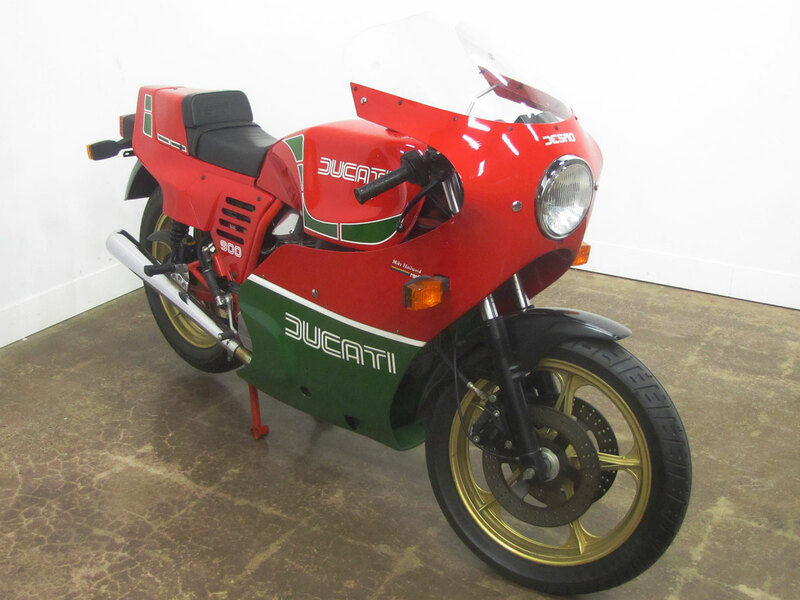 Picking up on the theme of the private entry win by Sports Motorcycles of Great Britain, Ducati began making Mike Hailwood Replicas, first in 900cc displacement, then in the Mille, or a 1000 cc form. 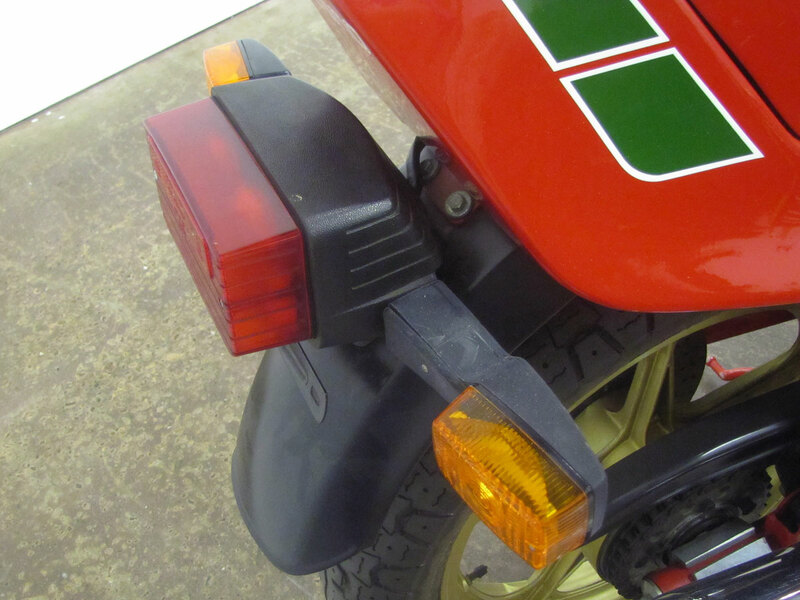 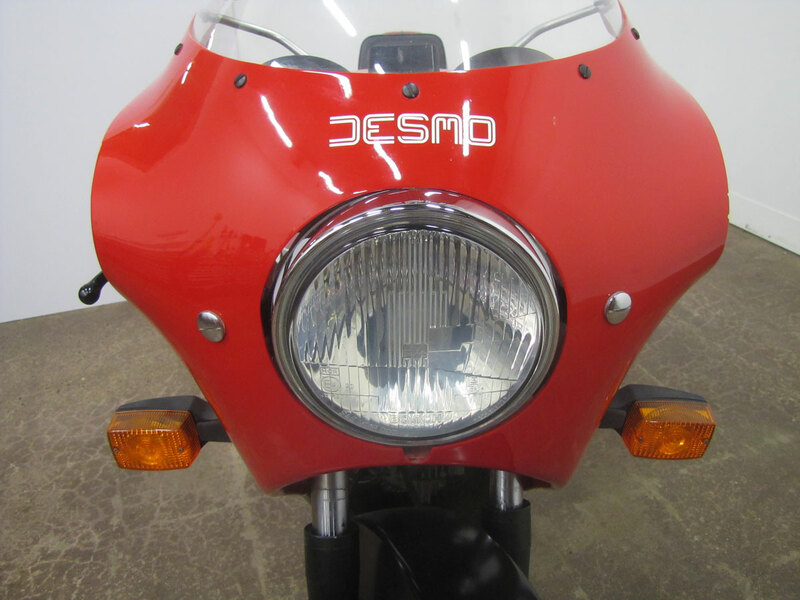 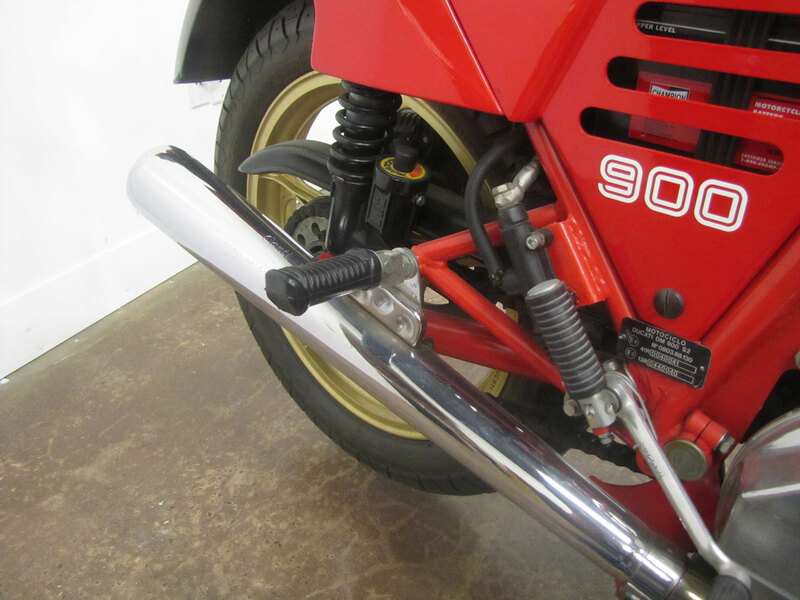 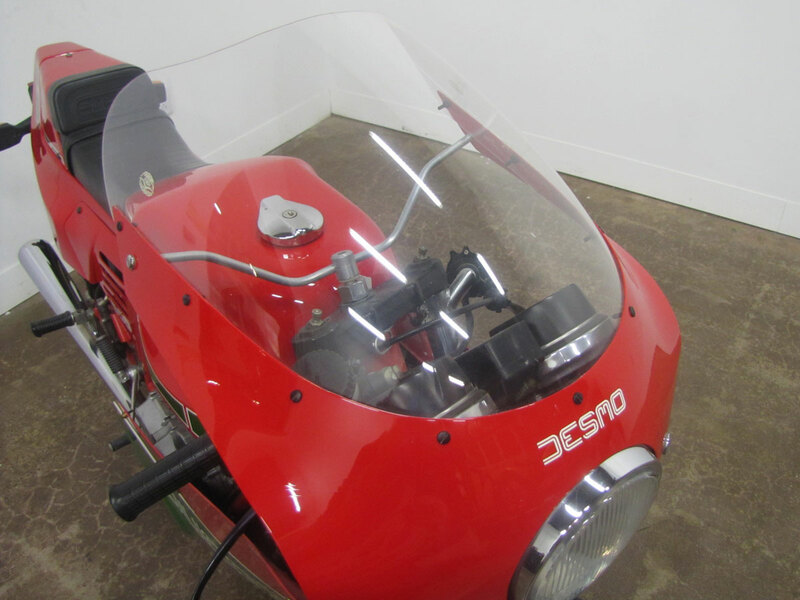 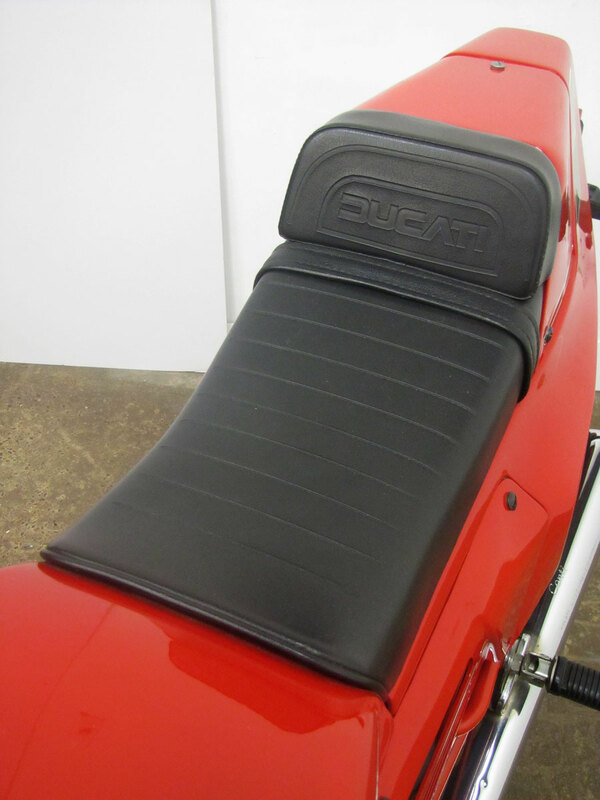 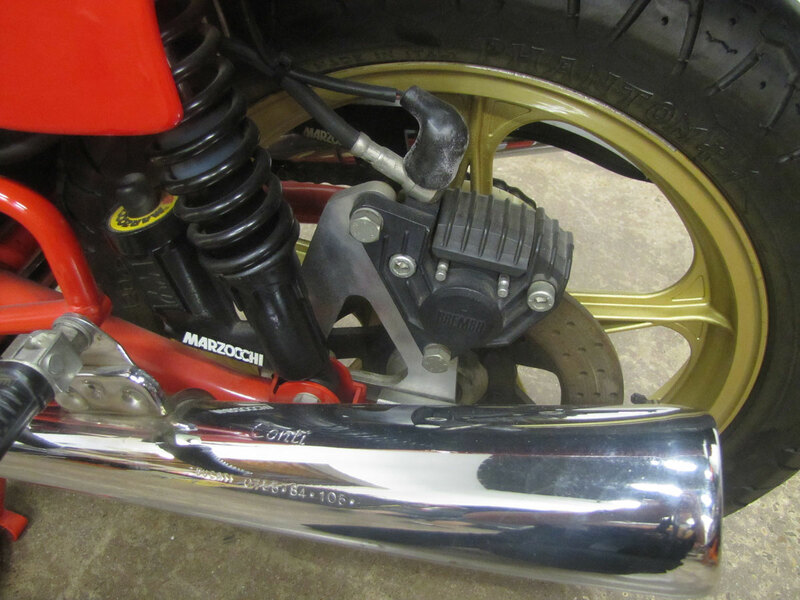 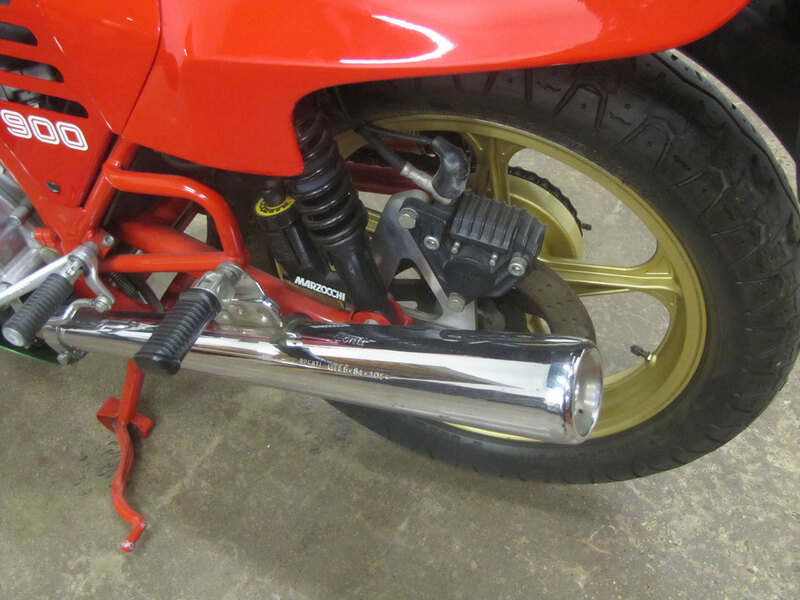 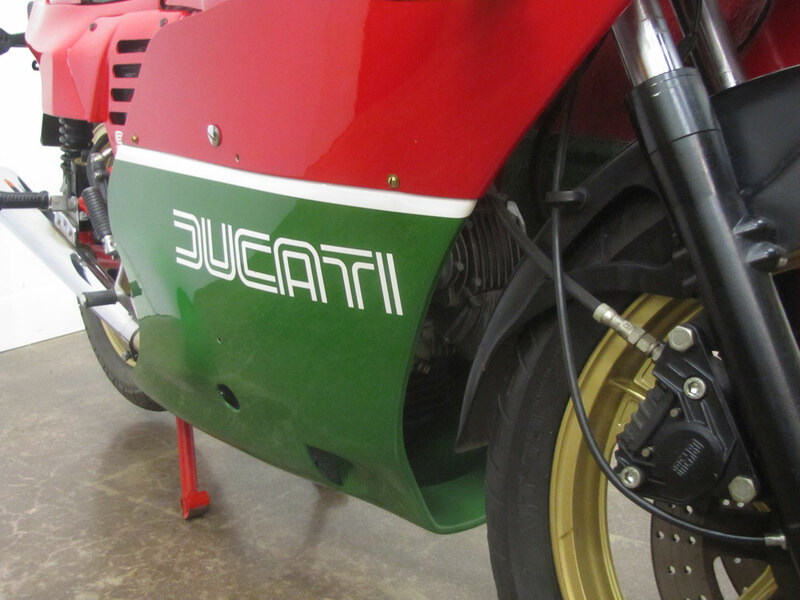 These were the first production Ducati twins with full fairings, incorporating a steel tank, wrapped in fiberglass to appear as the race bike, and a decked seat. 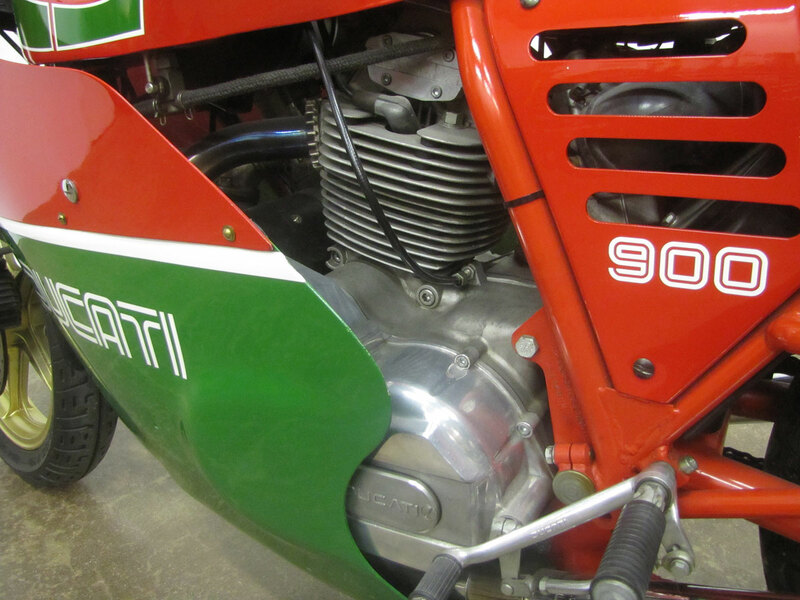 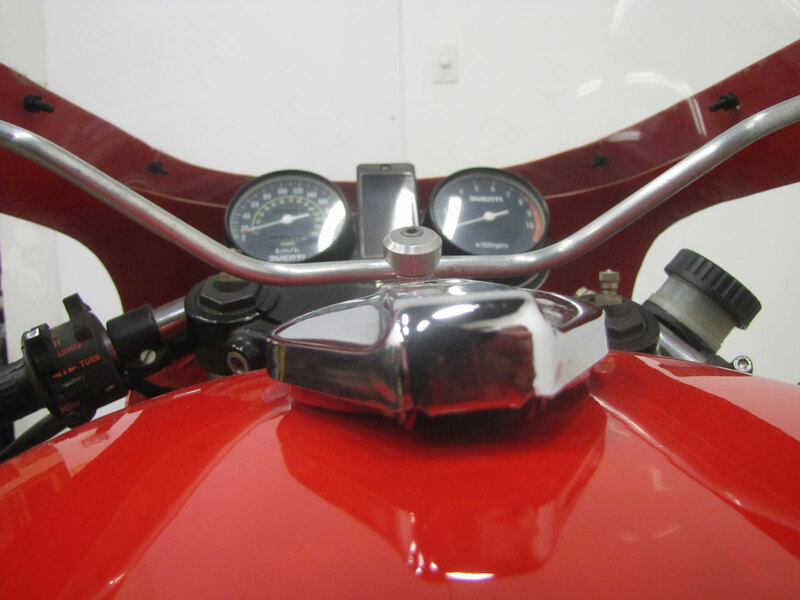 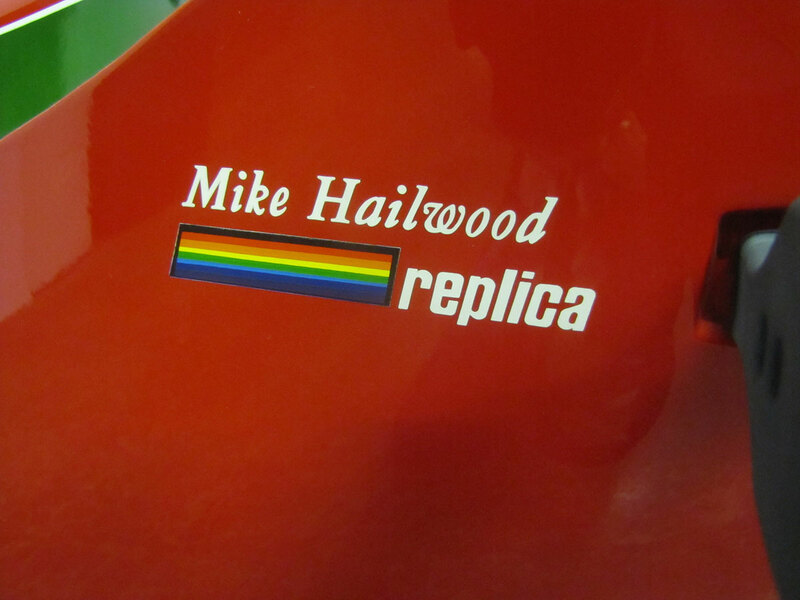 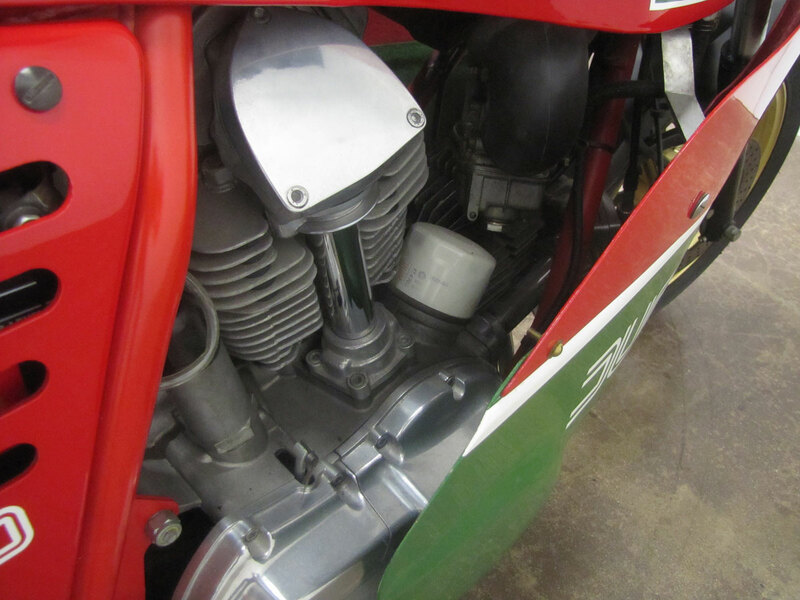 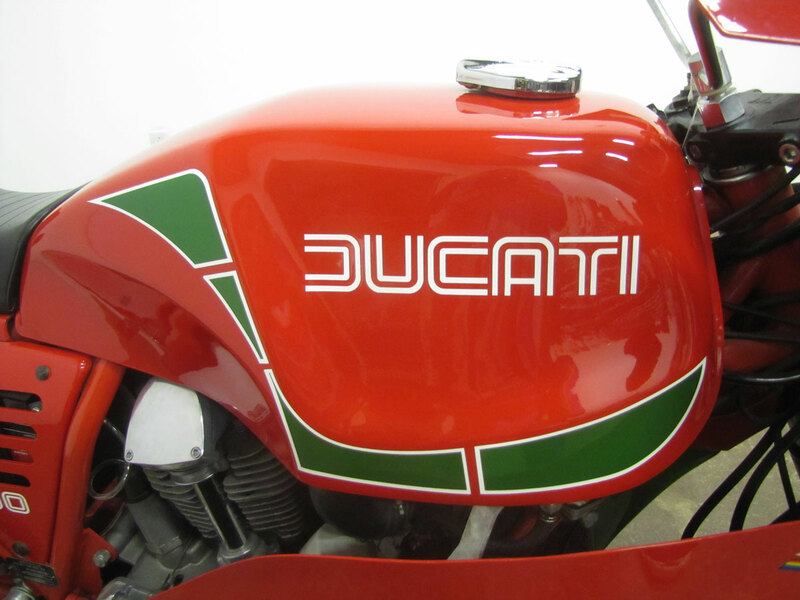 The replicas sported the red and green paint of Hailwood’s race bike derived from Castrol Oil brand colors. 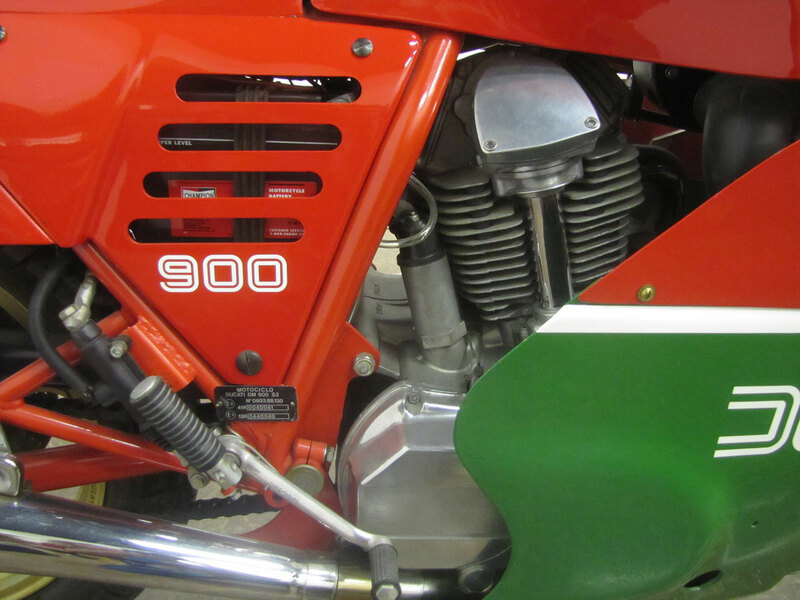 Like the race-bike, the MHR was based on the production 900SS. 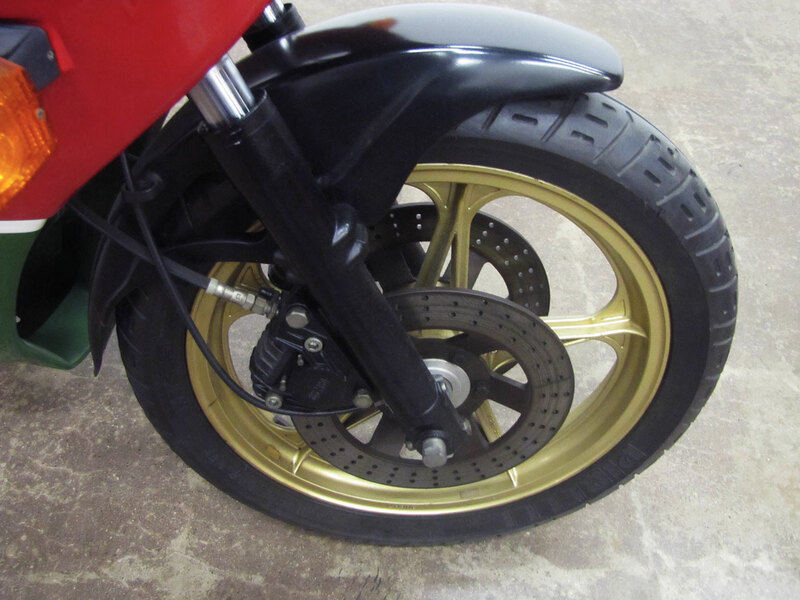 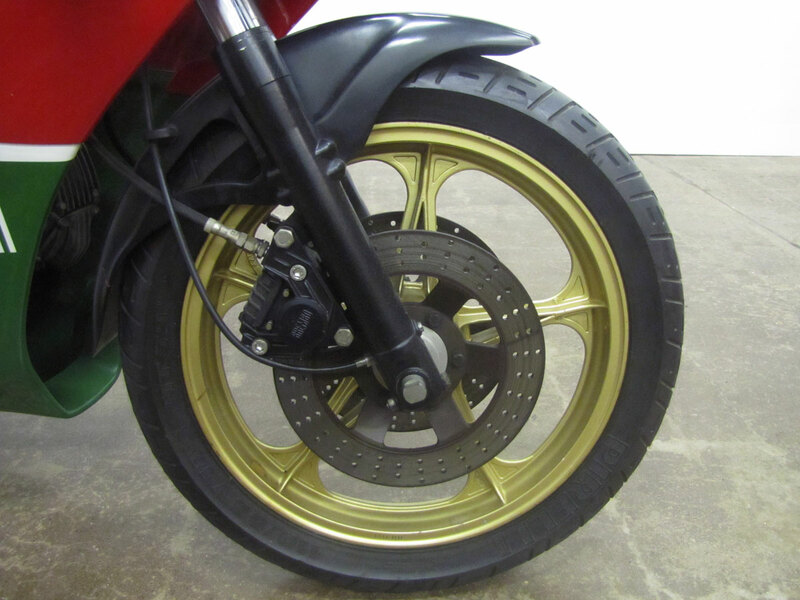 Mechanical changes were confined to lighter wheels, usually by Campagnolo, and improved Brembo brakes. 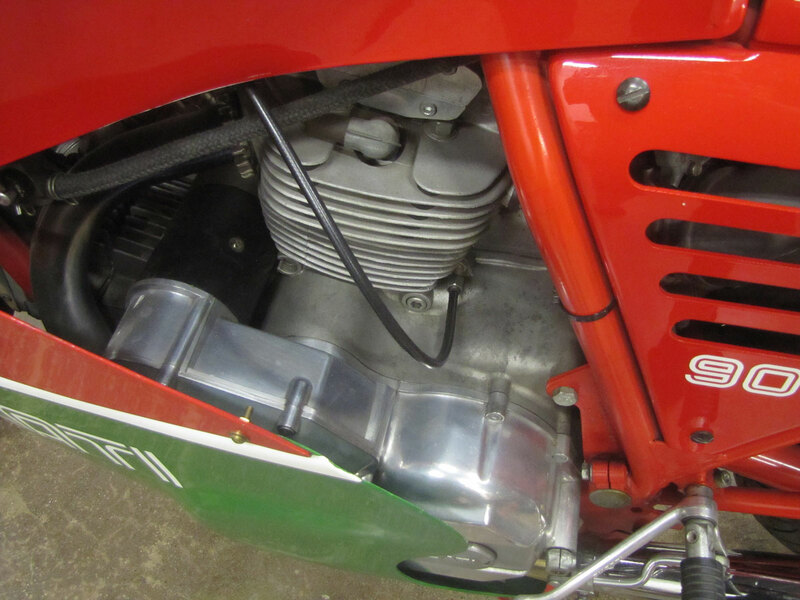 In general the MHR’s performance was pretty much the same as that of the 900SS; the bike would attain around 135mph and was known for its stability. 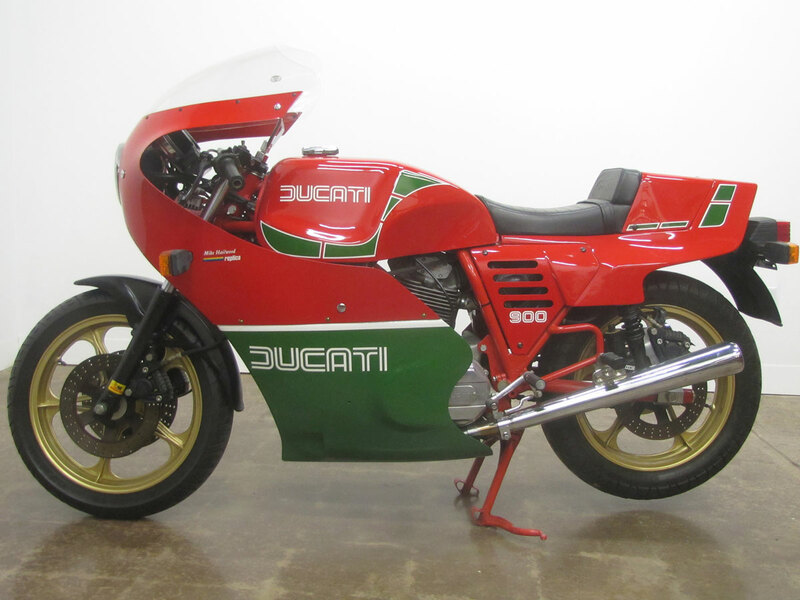 After making 900cc and 1000cc versions of the Mike Hailwood Replica, in 2001 Ducati produced a third version they called the MH900e again commemorating Hailwood’s win. 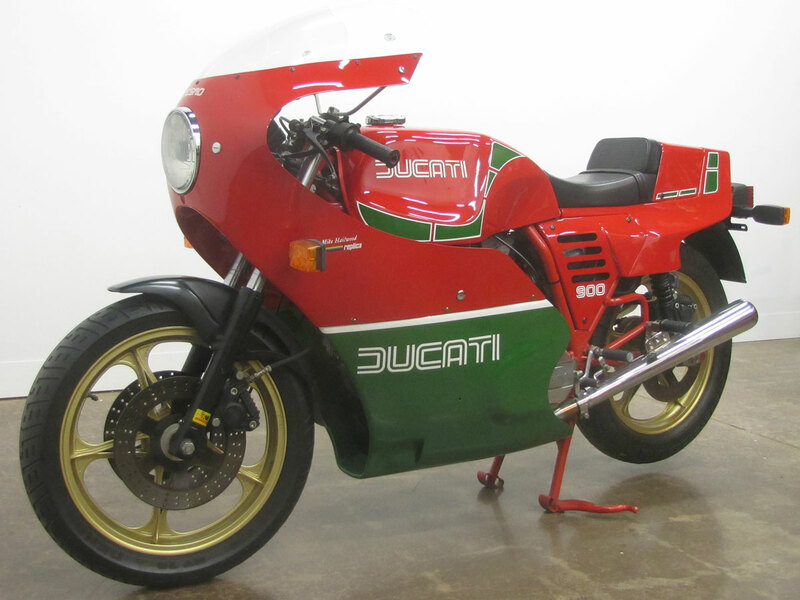 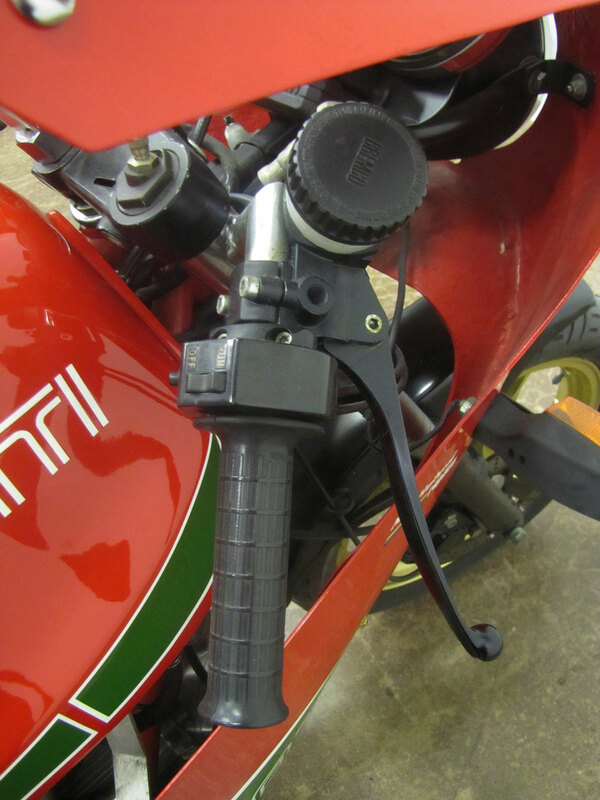 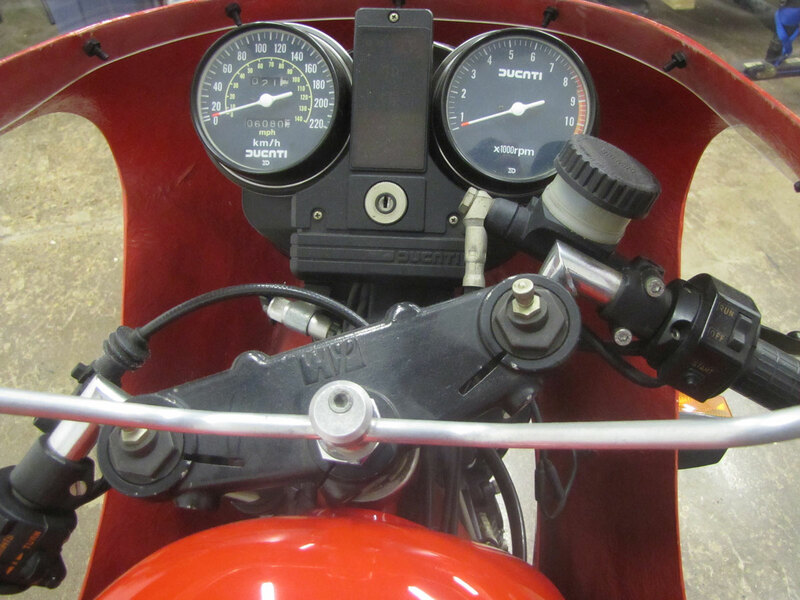 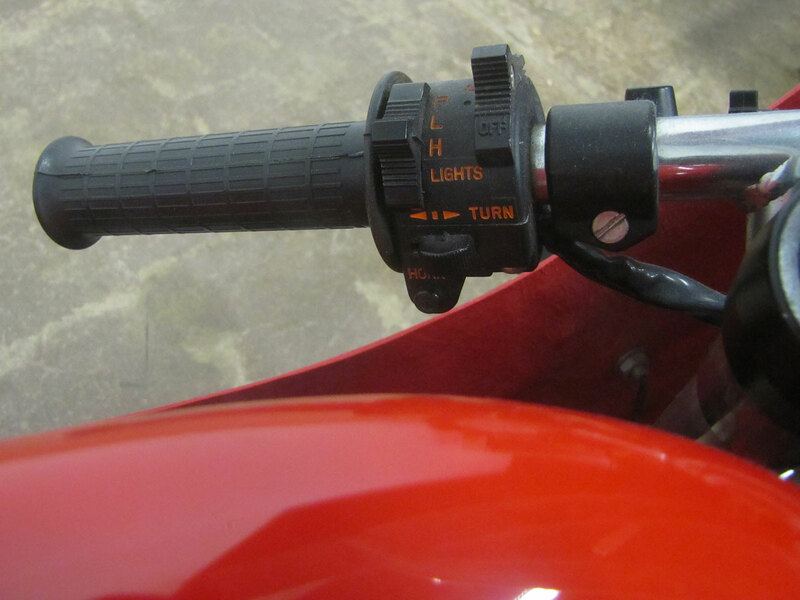 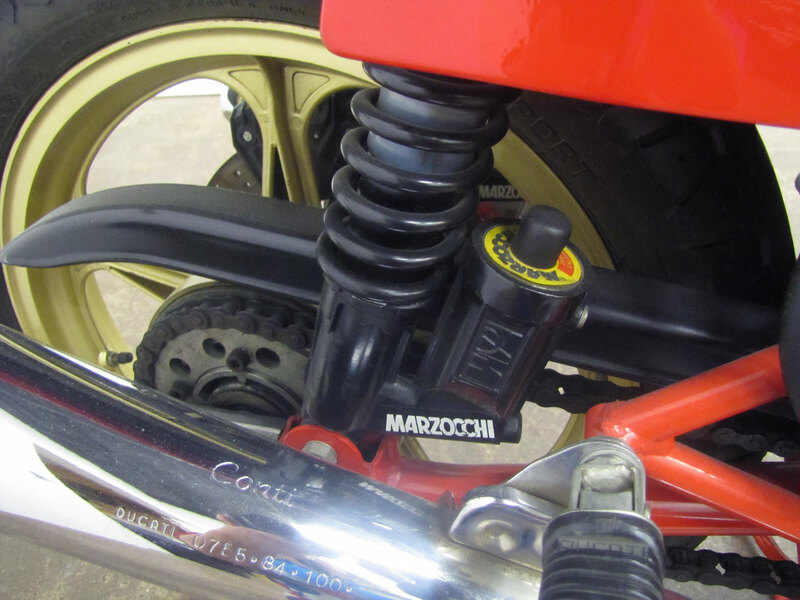 Pierre Terblanche designed the machine which was the first Ducati sold via the internet yet involved the Ducati dealer network for delivery.